Observing the sky especially when it is bright and clear at day and when it is lit and filled with stars at night is one way to relax, especially when you are stressed and tired of the everyday scenes in the city. It is better if you will be able to observe something you don’t see every day! This August, experience something extraordinary as five planets will shine brightly in Qatar, as reported by Gulf Times. According to Qatar Calendar House (QCH), people in Qatar will be able to observe five planets of the solar system in the sky this August as these planets come close to the moon. 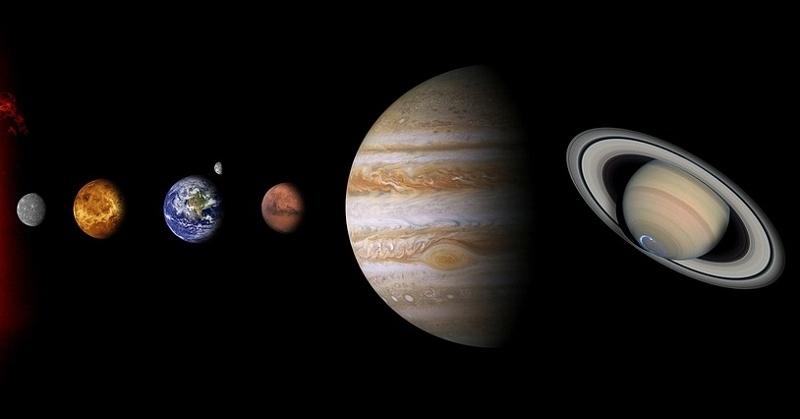 These five planets are Uranus, Venus, Jupiter, Saturn and Mars. The first planet that will approach the moon is Uranus, on Friday, August 3, 2018. According to QCH astronomy expert Dr. Beshir Marzouk, Uranus will approach the moon at an angular distance of 5° from the northern moon’s center. People will be able to see the said planet and the moon together over the eastern horizon from the moonrise time of Friday at 10:31 PM until the sunrise of Saturday. The next planet that will approach the moon is Venus and that will be on August 14. According to QCH, the residents of Qatar will have a good chance of seeing this planet as it approaches the new crescent of Dhul-Hija (twelfth and final month in the Islamic calendar) at an angular distance of 6° from the southern moon’s center. The residents will be able to observe the planet and the moon over the western horizon at 6:10 PM (after sunset) until 11:32 PM (setting time of Venus). On August 17, Jupiter will approach the moon at an angular distance of 4.5° from the southern moon’s center. Qatar residents will be able to observe Jupiter and the moon together in the southwest direction of the sky at 6:08 PM (after sunset) until 10:15 PM (setting time of Jupiter). On August 21, the planet Saturn will approach the moon at an angular distance of 2° from the southern moon’s center. The people in Qatar will be able to observe Saturn and moon together over the southeast horizon from 6:04 PM (sunset) to 1:03 AM the next day (setting time of Saturn). Lastly, on August 23, Mars will come close to the moon at 6° from the southern moon’s center in the southeast direction. People will be able to see Mars and the moon together over the southeast horizon after sunset at 6:02 PM until 2:43 AM the next day (setting time of Mars). These events do not happen every day so do not miss the chance of seeing these planets in the sky when you are in Qatar! Speaking of wonders, check out the following natural wonders of Qatar!